David Ayer reveals first look at Suicide Squad The Internet goes erm, what? There were a few reasons for the recent targeting of Whedon but the main issue people have taken is that of Black Widow’s portrayal in Age of Ultron. There are a couple of facets to the issue, from the supposed portrayal of the Widow as unequal to her male counterparts to the equation of female sterility to monstrosity during a conversation with Bruce Banner. The first point is one I don’t particularly feel merits attention. Regardless of your like or dislike of Joss Whedon’s work, I would argue that it’s hard to say that he is sexist. The guy is a vocal advocate for equality and feminism and a mass of his characters are what we can broadly describe as ‘strong women’. Feminism is very much in Whedon’s wheelhouse. Now, the position of his feminism is a completely different manner. I’m not going to say the man is flawless because it has been very acutely pointed out to me that the kickass superheroine in the body of a cheerleader is in in itself a form of male fantasy. Whedon may be better than some out there but, like most people he’s not perfect. 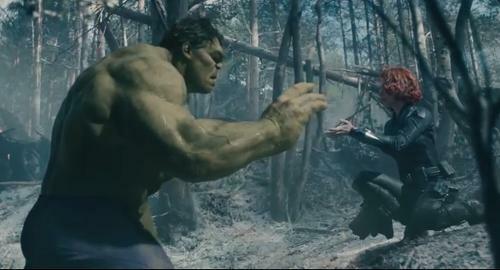 That said, to try and say that Black Widow doesn’t hold her own just seems… well, it seems stupid. 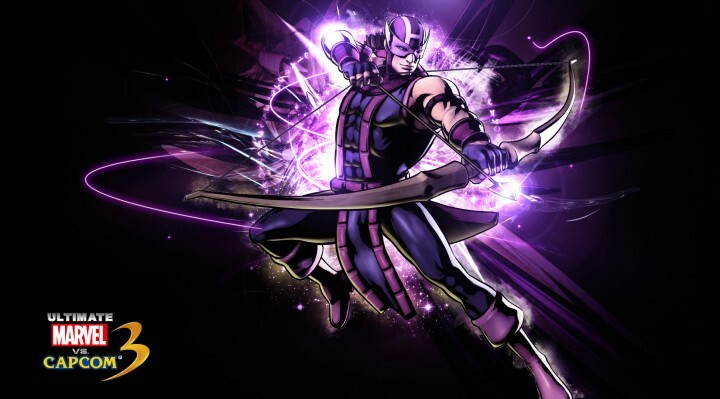 Both Widow and Hawkeye, the two non-super members of the Avengers, not only got some great usage in Age of Ultron, Hawkeye actually delivered some of my favourite moments, but were more than capable of stepping into the action alongside the likes of Thor and Iron Man. And if at any point they don’t seem to be undertaking quite such ridiculous feats of action, then that is not because of sexism it is because ONE OF THEIR TEAMMATES IS A GOD. The exact same thing being said of Black Widow could easily be said of Hawkeye. In fact, one of my main issues with complaints about Black Widow being relegated is that the same things would never be said of Hawkeye. True, the first Avengers didn’t optimally utilise Jeremy Renner’s character but AoU did some brilliant things with the archer. But when it’s Black Widow not getting a solo flick its sexism. How can someone so fabulous NOT have their own movie? Now I am not saying there aren’t any issues with the treatment of Black Widow within the broader context. Nerdist recently pointed out the shameful disparity in the number of Black Widow toys compared to the other Avengers, for example. My main contention is that the issues people often draw upon are those done without an appreciation of context. And thus I come to the meat of my disagreement with those lashing out at Whedon. Aside from the fact that I loved Age of Ultron and I have a lot of love for Whedon’s other works and a fair amount of respect for the man himself, I have a real bone to pick with those sending the hate mail. Let’s ignore the fact that this kind of bullying, threatening tactic is a vile way to treat another person and is about as far from the right way to get your opinion across as is possible. Let’s instead take a look at the argument here, the notion that Whedon equated Black Widow’s sterility to the Hulk’s natural monstrous nature. First of all, I’d like to point out that Black Widow’s conception of herself as monstrous was more to do with the things she’d done in her life. The fact that being forcefully sterilised as a part of her training was a part of her path to getting a lot of red in her ledger is undeniable, as is the fact that it is a truly horrifying thing to find out about her past. But, to my interpretation at least, she was not saying this made her a monster, she raised the point only when Bruce pointed out he couldn’t have children. She was equivocating with a man she loved and, here’s the clincher, even if she thought that her sterility made her a monster on the level of the Hulk, it was her saying it. Creators ARE NOT their characters. Yes, the ideas and personality of creators seeps into characters but to say that they are direct reflections is to say that no one can ever create a character that isn’t just them. It is to say that Whedon is Ultron and Lucas is Vader and Nolan is the Joker. The view presented by Black Widow was the character’s own and, importantly, it is one that made emotional sense for that character. We’ve seen across both Avengers films that Natasha Romanoff has a lot of regrets tied to her past, one of her main throughlines is the idea of redemption through heroism. So to portray her as more than a little self-loathing is nothing more than truthful to the character. What we have here is an issue of misplaced anger. Those who are lashing out are those who are apparently convinced that they need to seek out wrongdoing and hate and injustice where none exists. These are people who thrive off attacking others. There are often attacks on gaming culture over the idea that gamers can’t differentiate between reality and fantasy. Apparently, those attacking Whedon can’t differentiate between character and creator. There are a lot of times that feminists gain criticism and, as such, detract from their movement as a whole. I like to believe that this is because these people, those like the ones who have chased one of the geek world’s foremost creator’s away, are not truly feminists. They are people who co-opt the ideology of feminism in an attempt to justify their own vitriol because, in cases dealing with issues like gender or race, people are afraid to disagree or fight back. Well here’s my disagreement. As long as people like this cannot distinguish between the fantasy and the reality and choose to present their opinion purely through hatred, they do not deserve an opinion. Yes, there are issues with equality and representation in the Marvel Cinematic Universe. It’s getting better with the introduction of Scarlet Witch and the upcoming Captain Marvel film but it’s far from perfect. There’s a long way to go. But, and here’s the kicker, as long as this is the way in which the argument for equality is made, the movement will be held back and judged on the lines of this vocal minority. They are one of the worst threats to their own position and one of the greatest detractions from creators and creativity. Differentiate character from content, remove the hate from the argument, and approach the discussion as a rational human being. Then this debate may be able to actually move forward and we may be able to actually make progress where it truly NEEDS to be made.